You have probably seen the movie “Coal Miner’s Daughter,” as well as read the two biographies on Loretta Lynn. However, I highly suggest that you take the journey to Butcher Holler in far east Kentucky to see the original homeplace that Loretta Lynn and her family grew up. Then head down to Hurricane Mills, Tennessee, to learn more on the history of this remarkable Appalachian based country music legend. Upon entering the grounds of Loretta Lynn’s Ranch, you will wind down a small road that leads to the community of Hurricane Mills. Years ago, Loretta and her husband, Mooney, purchased the town and made it their own. While Loretta was on the road, Mooney would go and purchase more property. As fans found out where they lived, they began camping out front of their mansion with hopes of seeing the famed star. Soon, the Lynns would come up with the idea of having a full entertainment complex of sorts for the fans. Nestled among trees are cabins for visiting, dirt bike racetrack that holds championship level events, livestock, gift shops, a replica of Butcher Holler, a small western town, Post Office, a mansion fit for a queen, and a museum full of items that depict Loretta’s life. I recently made a visit to the Ranch and sat down for a Facebook Live interview with Tayla Lynn and Tim Cobb. Tayla Lynn is Loretta Lynn’s granddaughter and performer. These days, the mother of two keeps busy raising a farm with her husband, as well as maintain Soulshine, a restaurant for the community of Waverly. She also pursues her own musical aspirations, including singing duets with Tre Twitty – yep they sing Conway and Loretta songs on the road. Tim Cobb is Loretta Lynn’s personal assistant, living in a wing in her home, as well as her clothing designer. If you saw a gown on Loretta, it is a sure bet that Tim likely created it. In fact, he is world known for his beautiful creations that are truly pieces of art. Look on album covers, concert photos, and magazines and you are likely to see Loretta decked out in rhinestones and sequins. As you look throughout the Coal Miner’s Daughter Museum, you see a real depiction of the life of Loretta Lynn. Upclose, fans can view the very dresses that Loretta herself designed and handsewn prior to meeting Tim Cobb. All of those dresses are timeless and could be in style even today. Next to them are Loretta Lynn’s signature ballgowns created by Tim Cobb. Dresses that Loretta Lynn made herself early in her career on display at the Coal Miner’s Daughter Museum in Hurricane Mills. Photo by Jessica Bray. According to Tim, he created some dresses within 48 hours or so – which is mind blowing when you see the handcrafted works of art in person. Dress on right was created by Tim Cobb in 48 hours for an event and is one of his favorites on display. Photo by Jessica Bray. On display are the many awards and honors that Loretta Lynn has received over the years. 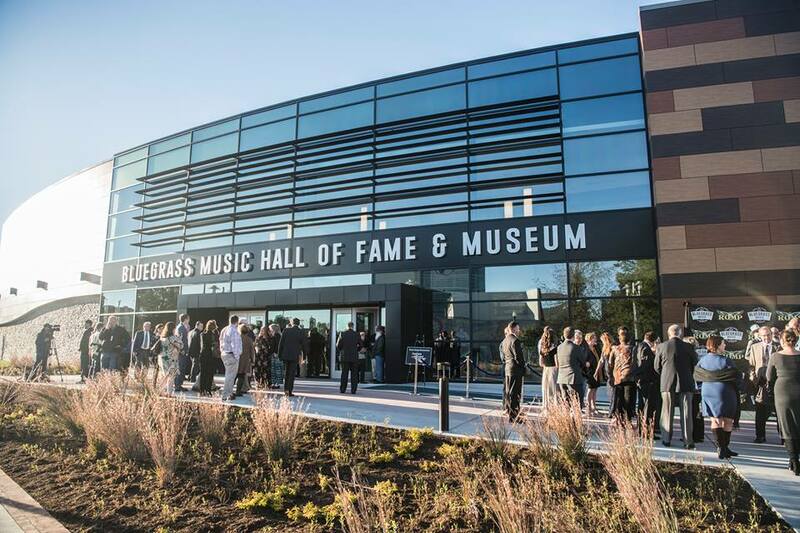 One honor that holds a special place in our heart – Kentucky Music Hall of Fame Induction – is on display. Family members are on display as several items of siblings, grandkids, and children are on display in the museum. Museum manager, David, provided details on particular items special to Loretta on display. What you see on display is not all of her collection. In fact, there is a vault of hidden treasures and items that could fill up multiple museums. 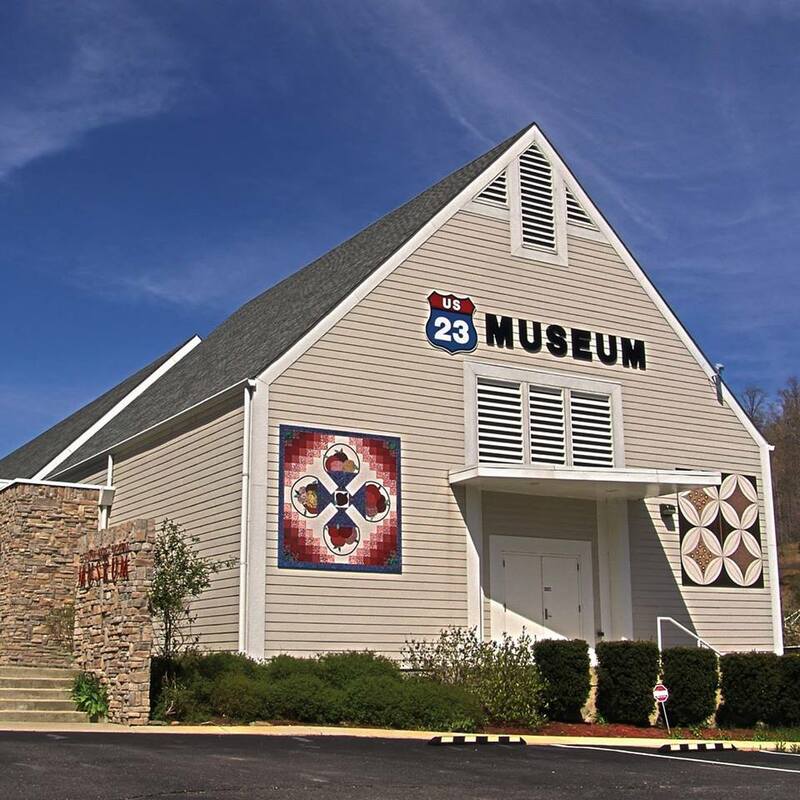 The Country Music Hall of Fame, Kentucky Music Hall of Fame, and US 23 Country Music Highway Museum have displayed her items over time as well. A special display on the Coal Miner’s Daughter movie, as well as Presidential honors are some that you must see. Loretta also tapped into her friends’ collections and have honored them on display. From Patsy Cline to the Kentucky Headhunters to even Brett Michaels, you never know what you might see! Conway Twitty memorabilia as part of the Coal Miner’s Daughter Museum. Photo by Jessica Bray. Crystal Gayle items on display at the Coal Miner’s Daughter Museum. Photo by Jessica Bray. Awards and accolades presented to Loretta Lynn are on display at the Coal Miner’s Daughter Museum in Hurricane Mills, TN. Photo by Jessica Bray. On the other side of the museum includes vehicles that Loretta and Doolittle used over the years. You can also sit in the seat of the bus that Loretta and bandmates saw many of a country mile on. During my visit, I was treated with a private tour of Loretta Lynn’s mansion. Derrick, the tour guide, was extremely informative of the history of the property, which was once a slave plantation. It truly took me back learning of the basement of the home, as well as slave quarters. Something unique was that the kitchen was originally separate from the house to save it in case of fire. Mooney Lynn would convert it into an office, and it stands just like it did when he was alive. Loretta Lynn’s mansion home in Hurricane Mills, TN. Photo by Jessica Bray. Inside the house, you are taken back in time with the decorations and furnishings throughout the home. Loretta Lynn loved collecting many things, including collector plates, salt and pepper shakers, dolls, and more. She also never threw anything away – a throwback to yesteryear where you kept everything you own. Loretta also hosting a cooking show in her kitchen. To help with the small space, Mooney added onto the house to give room for tv cameras and crew members. Loretta Lynn’s kitchen in her mansion in Hurricane Mills, looking just the same as when she lived there. Photo by Jessica Bray. Dining room in Loretta Lynn Hurricane Mills home. Photo by Jessica Bray. You might recognize this room as part of the Coal Miner’s Daughter movie. It is the family room inside the Loretta Lynn mansion. Photo by Jessica Bray. I was treated with a private tour upstairs which was the living quarters of the children over the years. A painting of Loretta and her father caught my eye and was just breathtaking to view. Throughout Hurricane Mills, activity quietens down for the winter months with one of the gift shops open and busy. During my visit, the workers and I exchanged stories of concerts and memories over the years. 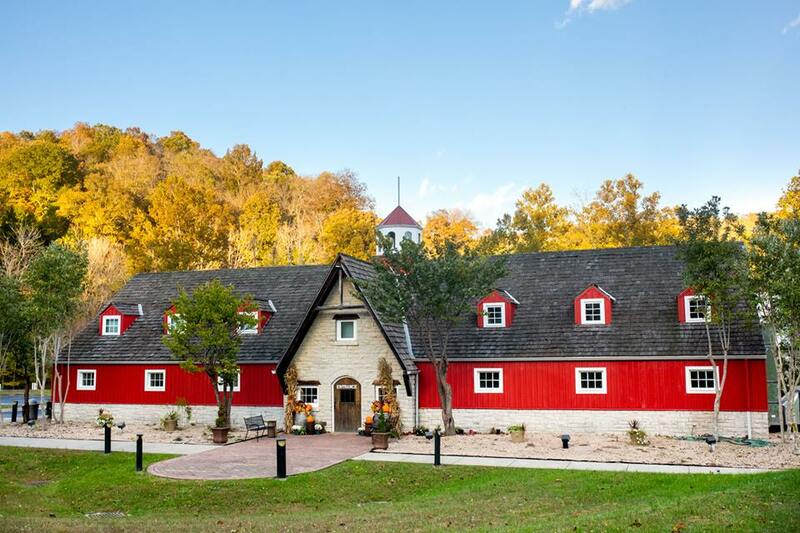 The Loretta Lynn Ranch has multiple stores that are now open for the busy season. They include the Country Store, Western Store, Mill Shop, Plantation Shop, Snack Shop, and Camp Store. The Coal Miner’s Daughter Museum and Boutique opens up on April 8th, just before Loretta Lynn’s Birthday. One thing that stood out to me during my visit. There was a sense of pride and love of Loretta Lynn by each person I met. They truly enjoyed being there and making people know more about Loretta. Needless to say, I felt welcome like family and do hope to visit again soon. Don’t forget to see our tour of Loretta Lynn’s Butcher Holler home by clicking here.